Here you go, boys and girls. 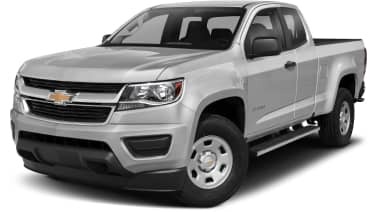 While Chevy has yet to release all the details of the new 2015 Colorado pickup truck, at least one person with access to an image or two decided it would be okay to share with the crew at Carscoops, and so we have our first sneak peek. Feel free to click on the image above for a larger view. We can't share any specifics with you, but we can suggest that those interested in this new midsize truck might want to come back around midnight for more. Tip: Thanks to all who sent this in!